Would you like to decrease your carbon footprint, improve the sale value of your home and also save some bucks on your home’s utility bills while you are at it? These are just some of the widely-known advantages of going solar. You can benefit from solar panels and become entirely self-sufficient when it comes to energy generation. But it is essential to research solar installers and get an accurate estimate of your energy generation and savings potential. After all, these solar systems can cost tens of thousands of dollars. It may not be the cheapest power when installing, but the set up practically pays for itself in some years. Can your roof endure the weight of the photo-voltaic panels included in the solar energy systems? Most of these systems can last for 30 years at least. Asphalt roofs, on the other hand, have a 20-year life at most. This means your roof must be in perfect condition before you even think about installing solar panels. If you ignore this issue, you might end up having to reinstall the roof and then the panels themselves. A lot of work can be avoided with just a little bit of due diligence beforehand to ensure that your roof can sustain the solar panels. The layout, direction, and material of your roof should also play an essential role in the decision. It can be difficult to install solar panels on flat, concrete roofs or Spanish tile roofs. You may have to face some extra charges from your solar installer. If your home is situated in the South or Southwest, there’s plenty of sun shining on your solar panels. You’ll be able to create all the electricity you need and then some. But if you live somewhere down the North by the Pacific Northeast, there’ll be a lot less sunshine, and you’ll produce much less energy despite the same-sized solar energy system. 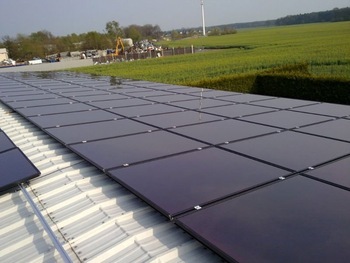 You may install extra panels to enhance your energy production capabilities if the need be. While you can still get electricity from solar panels in cold and cloudy areas, you may need to install some more panels to make up for the lower energy production. You may also have to cut down trees, take down dish antennas or any other things that may keep the sunlight from reaching your roof, and hinder the energy production. Traditional, roof-mounted panels are the most popular option. But if you have plenty of sunshine, and would like to use the roof for other purposes, you can also choose from the ground-mounted array of solar panels. These solar panels and systems can be installed anywhere on your property so that you can overcome limitations such as lack of roof space. Ground-mounted panels can be a lot more expensive as installing these is more laborious and material-intensive. In case you want something more discreet, something that doesn’t scream to passers-by that your home is running on solar energy, then solar shingles are your thing. However, these aren’t as efficient as the traditional counterparts. Tax incentives are a great reason to go green and get solar panels installed. The Database of State Incentives for Renewables and Efficiency (DSIRE) tells us that 17 states give homeowners a tax incentive or rebate when they buy or install solar power arrays. The searchable database is free of cost and available to all Americans. In the long term, you may be able to reduce the cost of the installation. Just remember to complete the paperwork on time and keep an eye on your federal and state regulations. Generally, a solar energy generation system will set you back $25,000 to $35,000. And in the case that upfront payment isn’t an option for you, try a solar loan to help you with the down payment. If you don’t have the cash for upfront payment and can’t qualify for a loan, then why not lease a solar array? The solar company will continue to own the panels, and you’ll essentially be renting them and paying a small fee. But you likely won’t get to enjoy any tax incentives if you decide to lease the system. As you research the purchase of solar panels for your home, go through all the points mentioned above, making sure that you and your solar panel installer are on the same page. Solar power installation companies can help you determine the right solar power solution for your residential and industrial needs. And working with the right solar panel installation company is a surefire way of enjoying the long-term savings of solar panels.